Work in Progress: Flore: Sad panda edition. Hark! Meaningful milestone! All of the knitting is now complete! Smaug has, at this point, had just about enough of being a hat model. 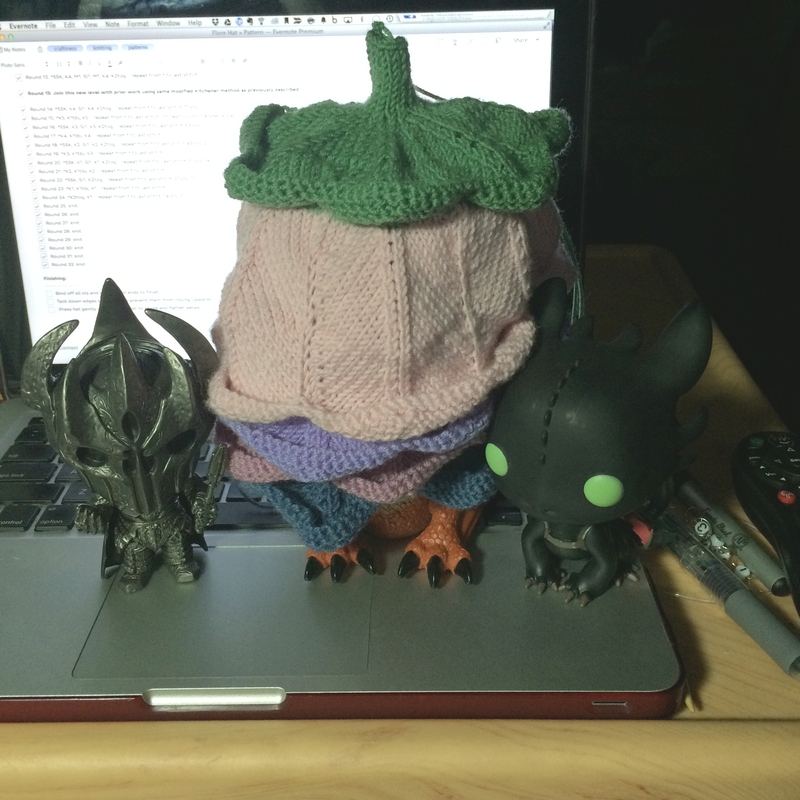 Sauron and Toothless find the entire process endlessly amusing.